Drivers need to be able to clearly see where they are going in any situation, but the fortified nature of armored vehicles means that drivers LSA is often limited without technology. Early driver vision technology, still installed in many vehicles, had a very narrow field of view and was severely limiting. 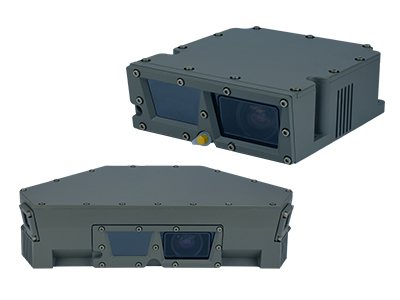 Opgal’s line of innovative thermal imaging cameras can provide 180° of coverage, 24/7, and in a variety of weather conditions. The Tavor 180° kits consist of a suite of day, and Tavor SM thermal cameras, which are mounted on the front, back and sides of the armored vehicle. This gives 180° of clear night vision capabilities and situational awareness at any time, day or night. Customer based modifications are possible. Why the Tavor 180° Local Situational Awareness Kit? The Tavor 180° LSA Kit offers forward driving, rear driving, and LSA capabilities 24/7 and in a variety of weather condition, enhancing crew survivability and effectiveness in the field.